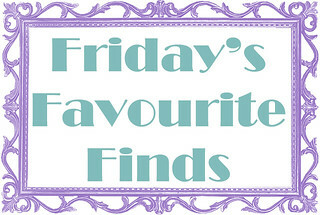 Posts Tagged "Friday’s Favourite Finds"
It’s been a few weeks since my last Friday Favourite Finds post…but I have been compiling some info. Then, when Buzz Bishop posted about ‘Google Death’ on Facebook this morning, I knew I had to share! I have a list of passwords & websites in my safe, right along with my CD’s of backed up family pictures, so people can find all my ‘stuff’ online…if I die. Now, Google has (finally) created a process that will help. They call it the “Inactive Account Manager“. Ultimately, it will email people in your trusted contacts list if you haven’t used your account in a certain amount of time (that you decide on). If you don’t use Google services, this won’t matter to you, but I use Gmail (I have at least 6 email addresses that are forwarded to one Gmail address), Google Calendar, Google Drive (another place to back stuff up online, plus a lot of my husband’s company’s stuff is ran through Drive), Picasa (has EVERY picture I’ve taken of my family since 2004), and YouTube has EVERY video I’ve taken since 2004. Speaking of YouTube – Here’s a ‘Pro Tip’ – after you take a video on your phone, upload it to YouTube immediately (or as soon as you are connected to wifi so you can upload in HD). Then you can delete it off your phone to save space! I make them all Private of course, and title them all with the date, like this: 2013 – April: Abby Gymnastics, and tag them with the kid’s name, so they are easy to search. Years ago, Mike and I got in a huge fight in Canadian Tire, when I wanted to buy a small carpet shampooer. He didn’t think it was necessary and didn’t want to spend the money. In the end, I won the argument, and that little machine has been worth every penny. Why? Because my dog is the worst. That’s why. My version is older, but it is now known as ‘The Green Machine. Get one. I’d also like to talk about Evernote. It’s hard to explain all it does, so just check it out for yourself. But seriously, this is becoming a lifesaver to me. Somewhere to save all my ideas, documents, web clippings, etc. I’m constantly ‘sharing’ information to it with notes. You can email articles to it to read later, or to pin later, or to blog later, etc. As soon as it connects with Notability, my life will be perfect. Seriously. Oh, what’s Notability, you ask? Only the best iPad App EVER, when it comes to taking notes, writing journals, planning Camera Day Camp syllabuses, etc.! My paper notebooks, lists and journals are quickly being replaced with this. It’s connected to DropBox too, so everything can be backed up. And I love to back stuff up! You can use a stylus (or your finger) to write on it, add text wherever you want, even record voice notes & embed them! Here’s a great video that shows you how to use Notability & Evernote to annotate PDF’s – awesome for teachers!! And last but not least this week is an iPad app…which is the ULTIMATE image viewer. Cooliris lets me view all my images from my iPad, Picasa, Instagram, DropBox, Google Drive, Twitter, Flickr, etc. All on one app. And it’s interface is beautiful. Love it. Oh! Almost forgot Timehop.com! Love this too. Every day, I get an email showing me what I posted on Facebook a year ago on that day. Check it out! Today’s showed me that we had snow a year ago too, so it’s normal, apparently! About a year ago, I signed up for Gym-Pact. It’s an app that pays you for going to the gym. You make a pact to workout a certain amount of times a week, and if you don’t fulfill it, you are charged $5. If you do complete your pact, you are paid rewards, paid by the members that didn’t fulfill their pact. A year ago, this was a lot of pressure. I usually do go to the gym 3 times a week (my pact), but often I forgot to check-in. And sometimes my kids are sick, or there’s a blizzard and I can’t make it to the gym, so I’d end up paying. So, ultimately, it didn’t work for me. This January, I checked it out again. I do need something to keep me motivated to workout, and I was happy to see that Gym-Pact had made some awesome additions to the app. Recently, they’ve added home workouts too. I just tried it out this morning, and it’s pretty slick. I did an exercise video, wearing my iPhone in my armband. It gives you an hour & a half to do 30 minutes of exercise. Easy peasy. The best part for me, is that the more I achieve my pact, the more money I accumulate, so the more motivated I am because I really don’t want to pay $5 from the $12.26 I’ve earned! Not since I was a wee teen, have I listened to an album, in its entirety, so much. This week’s Favourite Find is The Lumineers album. The Lumineers have become a big part of my life, lol. If you need convinced, watch this. Thank you to my cousin Kelsey for posting that link on Facebook! But don’t fall in love with their unlisted song (2nd video on that page), because its not released yet. You could watch that video over and over though, like I do. Also, for anyone who posts as many links & reads as many blogs as I do, you have to check out the Hootsuie Hootlet Chrome extention and NewsSquares Chrome app! They’ve been making my life easier for awhile now. There’s also the bit.ly extention. It’s awesome too. ps – If you’re not using Chrome as your Internet Browser, you’re doing it wrong. Scrubbing Bubbles Mega Shower – man that stuff is awesome! Soap scum on my glass shower…gone! With no scrubbing…or touching. Spray it on, wait, rinse it off…done! I love Zite. It’s the first app I open in the morning, and the last one I check before bed (not including Facebook or Email!). It’s a personal magazine-type app. Speaking of Zite – found this on there this morning: State of the Calgary’s Twittersphere. Very neat info. Twit Cleaner – I’m following 2000 people on Twitter. And that’s the max. So I ran this program and it tells me who to unfollow; including people who never tweet, don’t follow me back, only tweet links, etc. The Cup Song from Pitch Perfect. If you’ve seen the movie then you know the song. Below is Anna Kendrick doing it for Dave Letterman. My kids have become obsessed with learning it, watching YouTube tutorials non-stop. Even Charlie is getting into it! Welcome to my 1st installment of ‘Friday’s Favourite Finds’ on this blog. I used to do this occasionally on my Photography blog, but it really isn’t business related…so now I”ll do it here! It’s a collection of things found on the internet that make my life better, or that i just love. First up today is Songza. If you haven’t become a fan of Songza yet…you need to try it out! It’s simply the best music site on the Internet. It has no ads, and can match music to your mood. Go try it out. There’s also an app for that! While using the app, you can even head right to iTunes to download a song you’re listening to, with one click. Letterpress is my favourite game of the week. Was a little hard to figure out in the beginning, but quickly became very addicting! An app that I discovered a few weeks ago, and just love, is the Gratitude App, by Happy Tapper. I’m a strong believer in ‘Thoughts become Things’, and the Law of Attraction. I believe that what you think about, you bring about…so the more you think about things you are grateful for, the more you will have to be grateful for. This app gives me a reminder every night to take a couple minutes and document what happened that day that I’m grateful for. Another photographer in Calgary, Michelle Wells, blogged this week about a physical Gratitude Journal to do WITH your family. I really REALLY love this idea. I hope to start something like this in the New Year. What a great way to teach Gratitude, which turns into a fabulous keepsake! And finally – this blog post I found on Pinterest – about telling your kids the truth about Santa. I recently re-read it because I’ve been getting some questions from my oldest daughter…and I want to be prepared.